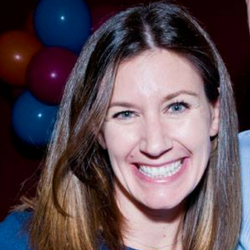 Shana joined EARN’s team in 2011. She has been working in the nonprofit sector since 2005, with an emphasis on fundraising and communications for social justice causes. She led the rebranding and launch of SaverLife in 2017 and works tirelessly to keep the momentum going for EARN's flagship program. Prior to joining EARN, Shana was the Development Director of a San Francisco-based legal aid nonprofit, OneJustice. At OneJustice, she led the rebranding of the organization, including a name change. Shana’s commitment to social justice began with her service in Ukraine as a Peace Corps volunteer. She holds an M.A. in education and public policy from Columbia’s Teachers’ College and a B.A. in English from the University of California, Los Angeles. She has two daughters and can lip sync the Moana soundtrack start to finish.